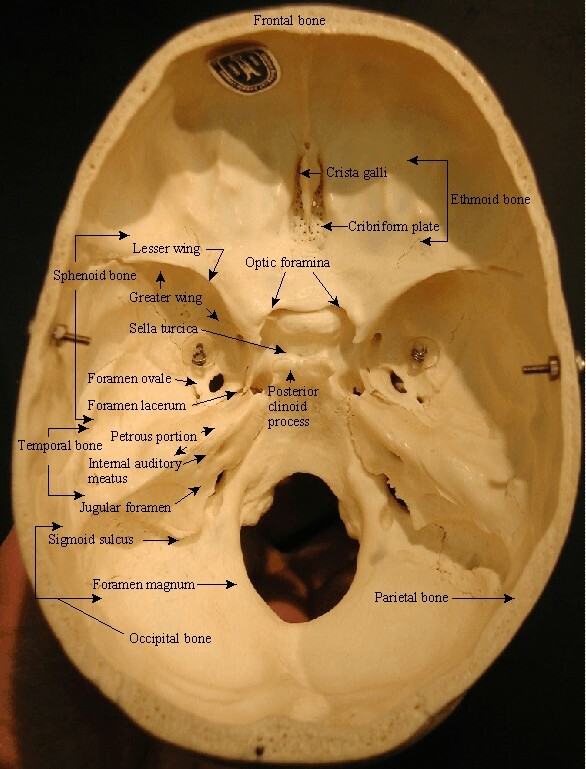 See Fundamentals of Anatomy and Physiology , Martini, 9th Ed, pp. 200-216 and The Anatomy Coloring Book, Kapit and Elson 3rd, pp. 24-26. Label all bones with their listed features. 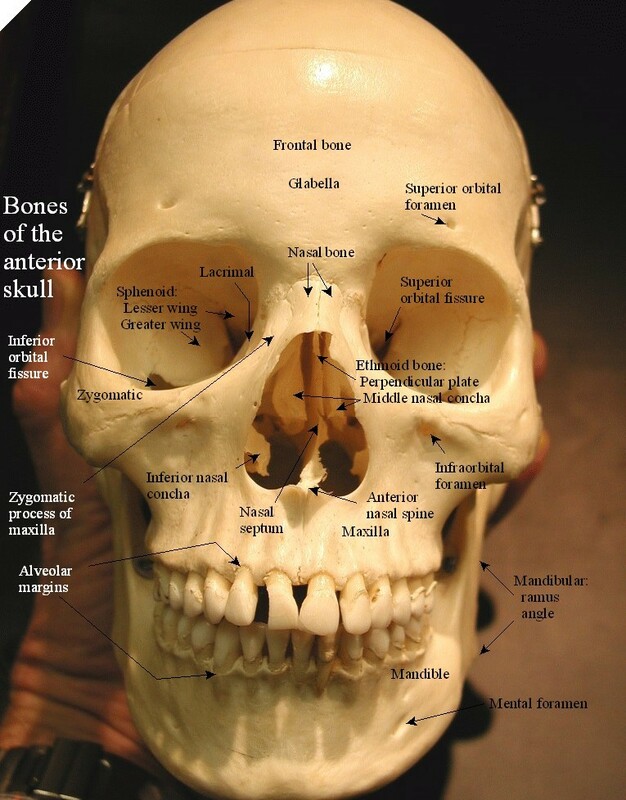 Use the illustrations in Martini to aid in locating the bones and their features. 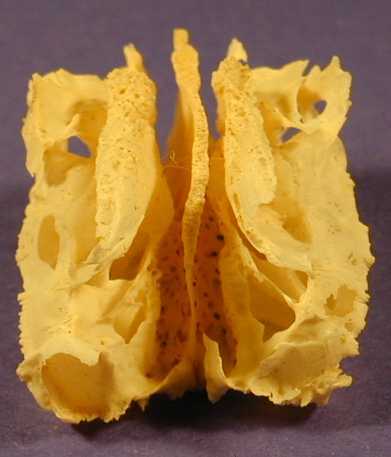 Here is an index page to many skull bone pictures not included on this page. 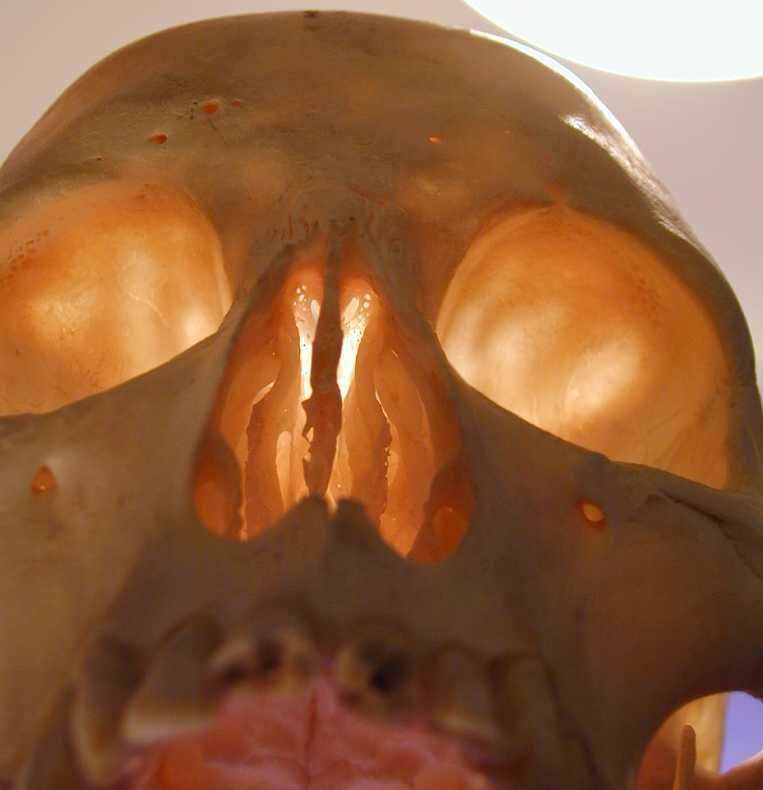 Here is a (spooky) view up the nose showing the perpendicular plate, the cribriform plate and the middle nasal concha. 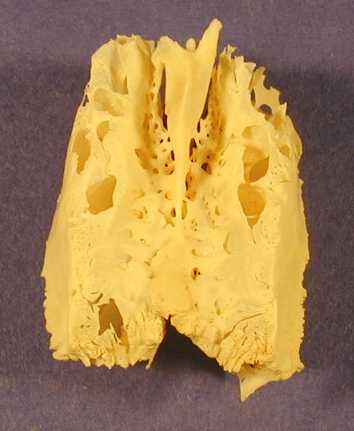 This view is into the nasal cavity, the two lateral curved bones are the inferior nasal conchae. 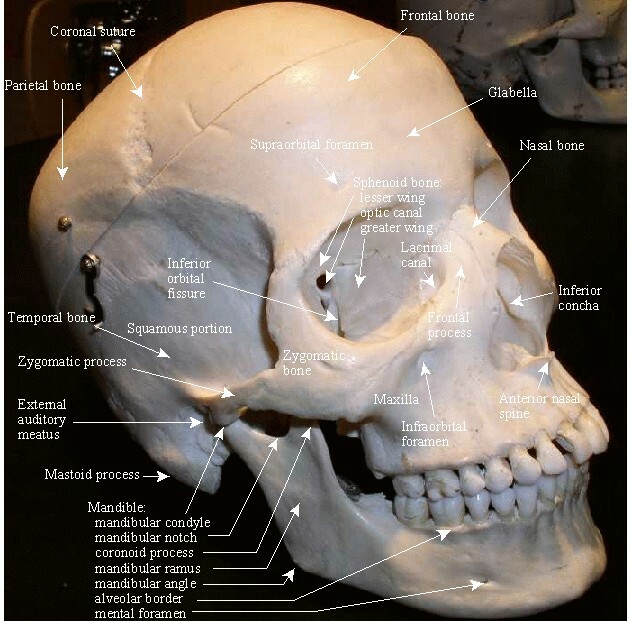 On this page is a variety of images of disarticulated bones of the skull and a few images of associations of articulated bones of the skull.